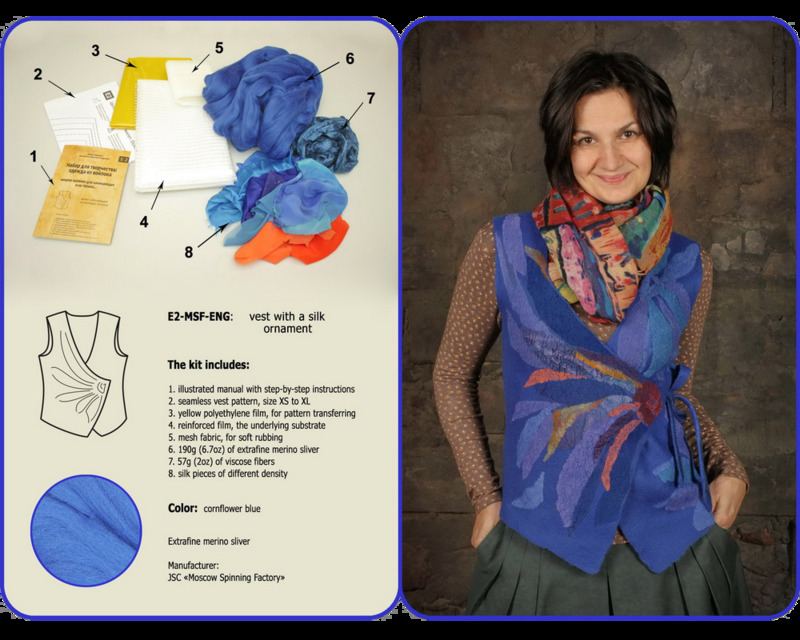 This lesson is intended for beginners who want to learn the process of felting on the example of the seamless wrapped vest with an applique from silk pieces. This is "all-in-one" kit that contains everything needed to help you make your first seamless vest, except some little things: a water scoop, a towel and soap. We've gathered all the materials: an extra fine Australian merino sliver, viscose fibers and silk pieces of different densities. !!! These silk pieces are the remnants of batik manufacture. The colors may vary from those shown in the photo. The pieces also may lose their colors during felting process - that is normal.